It’s amazing to think the Shopkins debuted in 2014 because these colorful, fun, grocery store themed collectable toys are still beloved by children everywhere! If your child is a fan, a Shopkins Birthday Party is a super party theme that lends itself to so many vibrant and sweet ideas! 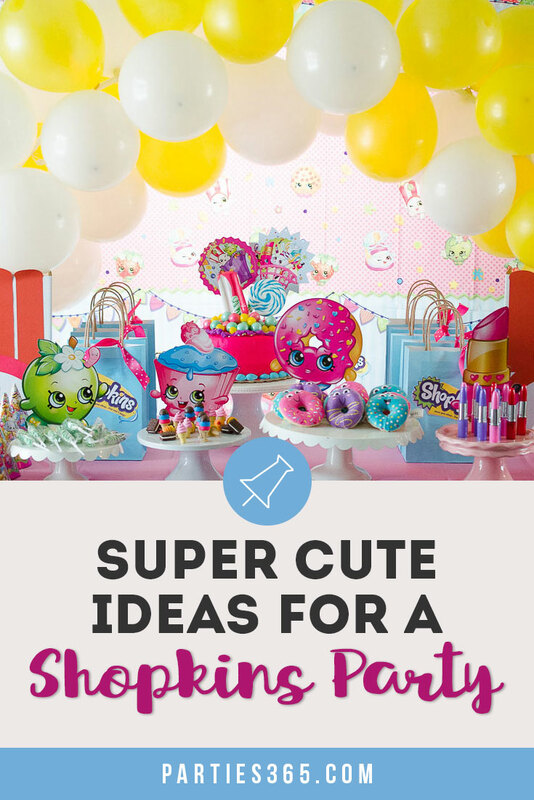 Read on for Shopkins Party inspiration for the next birthday party you throw! If you have a little girl between the ages of four and well, quite possibly all the way up to a teen, you’re more than likely very familiar with Shopkins toys. These tiny, super cute, fun characters are based on items you’d find in a grocery store and there are hundreds of characters in Shopkins World… even some that are ultra-rare and exclusive – a super find! 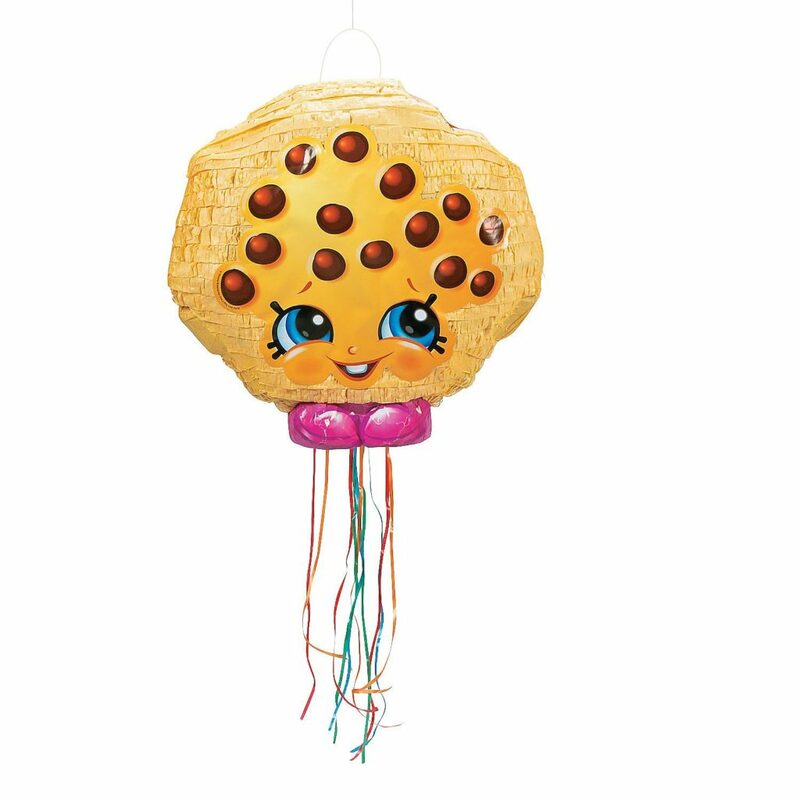 Here are some adorable, easy and playful ideas for your very own Shopkins Birthday Party. 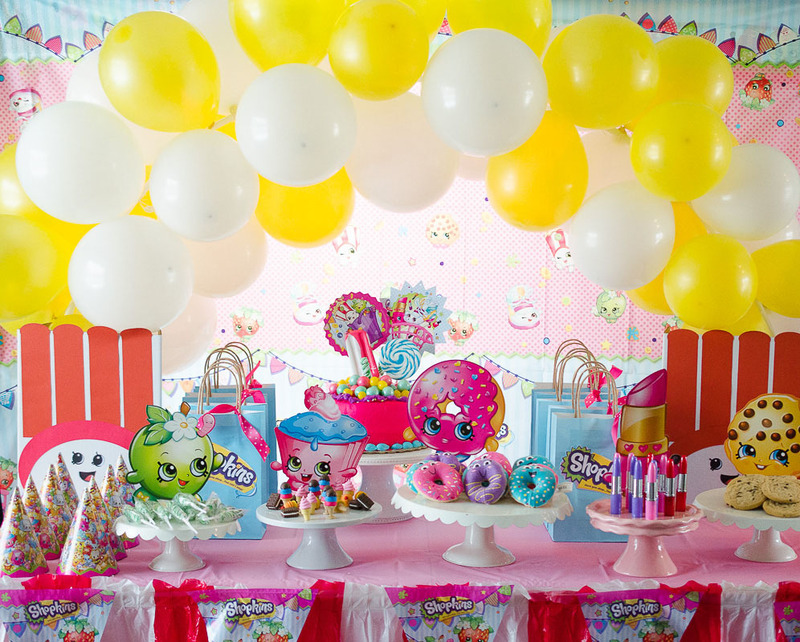 Rachel McAffee of Fawn designed this darling Shopkins themed birthday party for her daughter. I just love the bright colors combined with deliciously sweet decor and treats! The yellow and white balloon arch really pops against all the brightly colored Shopkins party supplies. 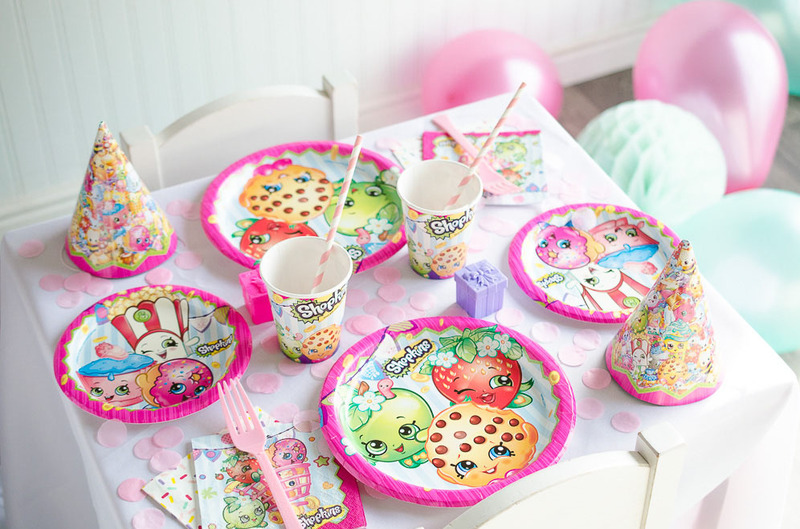 You can find delightful Shopkins partyware in sets including tableware and decor that have enough for 16 guests or you can purchase the plates, cups, party hats and napkins separately. There were several details I really loved from this party setup that I want to make sure to point out for you. First on the feature table, several of the Shopkins characters were highlighted along with a special treat or favor. First up is D’lish Donut presenting a cake stand full of cheery plush donuts the guests got to take home as party favors! You could do the same or fill a tray full of fancy donuts as delicious party food. 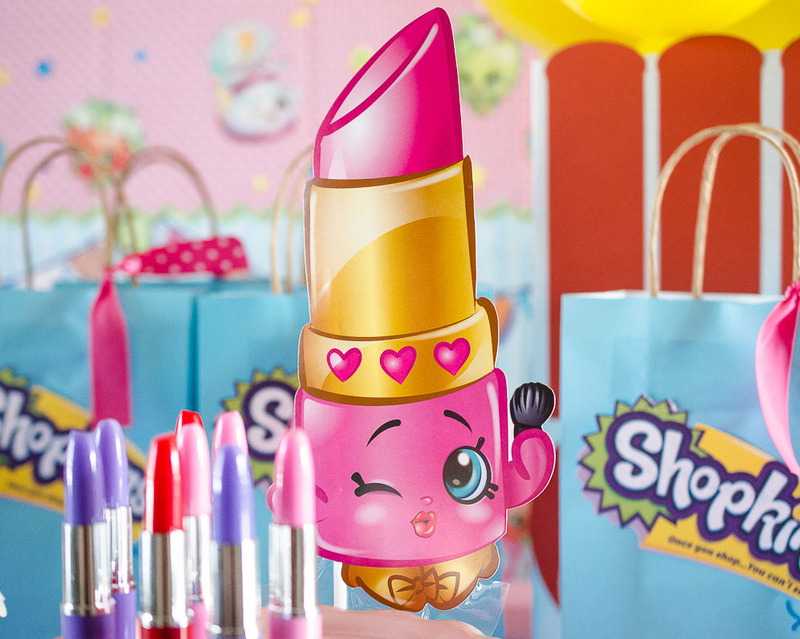 Lippy Lips also lends herself to some fun at a Shopkins Party! The rare winky faced lipstick tube here holds some darling lipstick pen party favors! You could get real lipstick, but if your party goers are little girls, all the moms will thank you for the pen version instead of the real thing! Is there anything cuter than a super tiny ice cream cone? Maybe the tiniest ice cream sandwich you’ve ever seen?! 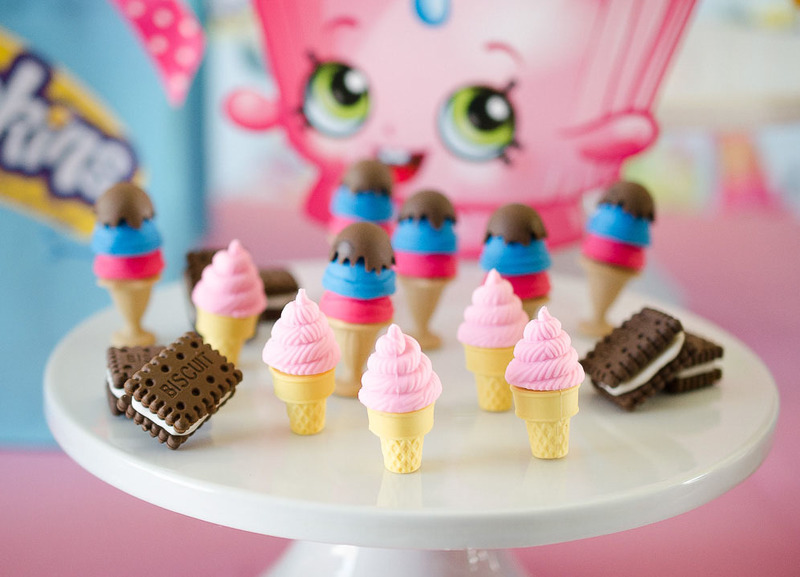 These miniature ice cream treat erasers make the perfect party favor for a Shopkins party, don’t you think? 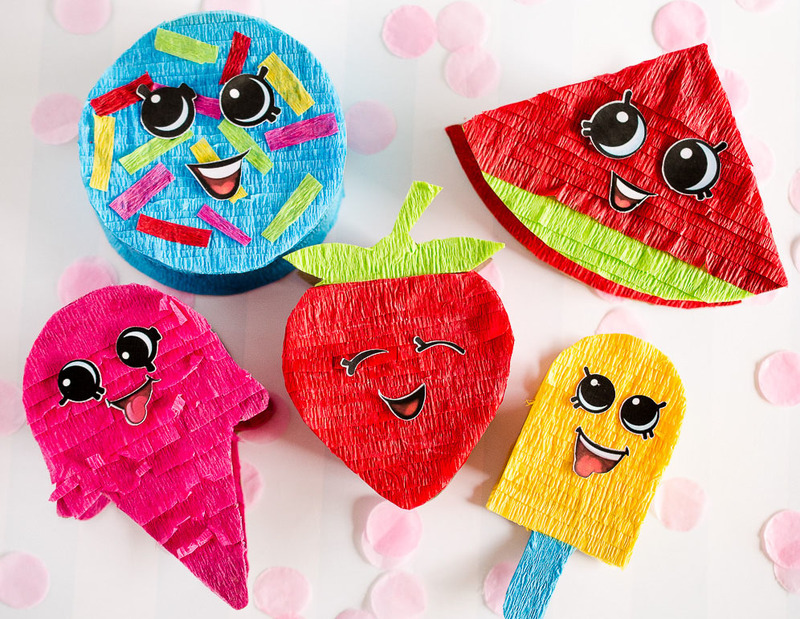 If you’re a DIY kinda gal, you’ll love this tutorial on Miniature Shopkins Piñatas! Amazing, right? 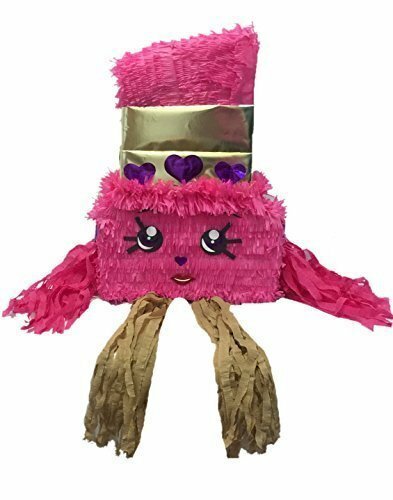 But if you prefer something that’s done-for-you, this Kooky Cookie Pull-String Piñata and this Lipstick Pinata would be really fun too! Now let’s talk cake! I absolutely adore the cake Rachel dreamed up for her party! And this is something you could easily recreate at home! 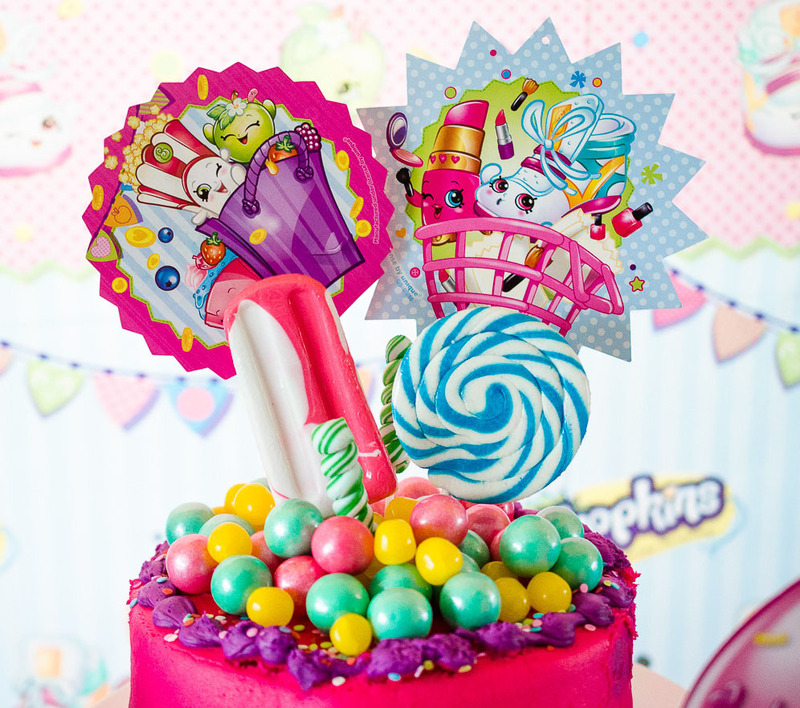 Take a homemade or store bought frosted cake in a bright color and top it with vibrantly colored gumballs of different sizes, rainbow swirl and twisty lollipops, ice cream cone shaped lollipops and add in a few repurposed Shopkins photo prop kit pieces as cake toppers. Easy, beautiful and done! 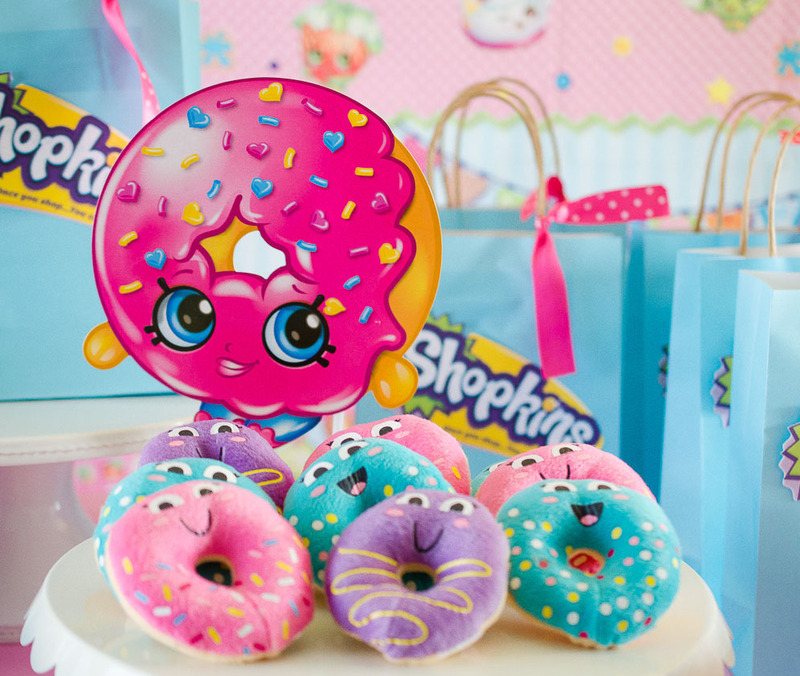 We hope you found some great inspiration for a bright and fun Shopkins themed birthday party! Be sure to Pin this post for later party planning!